Thank you! Thank you Thank you!!! I needed this read so bad! I have been a commission based stylist for 6 years now and I work in a small mom and Pop shop in an adorable and well established town outside of Seattle. With that said however, I have a 6 month plan in motion to be on my own finally and I’m not going to lie.. it’s sooooo intimidating but exciting @ the same time. I really needed to read this right now, and I felt like you just described me to a T! I hate Taylor Swift too! Lol, jokes aside, I feel so much better and confident that I AM. Making the right decision. Thanks again. Mind blown!! Thanks for this, have me some reassurance. Like you, I’ve done corporate hair and commission/hrly salons and I just made the move to booth rent. I’m still scared, but feel better about it. The owner seems great and living it so far! Thank you so much for posting this! I really needed to read this right now. I am just now going out on my own in the booth renting world, from a commission salon, doing everything except hair. I have wanted to do this for a long time but was scared, got fired and had no choice; it was time for me to face my fears. Now, my biggest concern is taxes. How did you jump that hurdle when just figuring it all out? I feel like everything I read is in another language! Do you have any advice for a beginner like me? Salon Lofts is the best move I ever made! 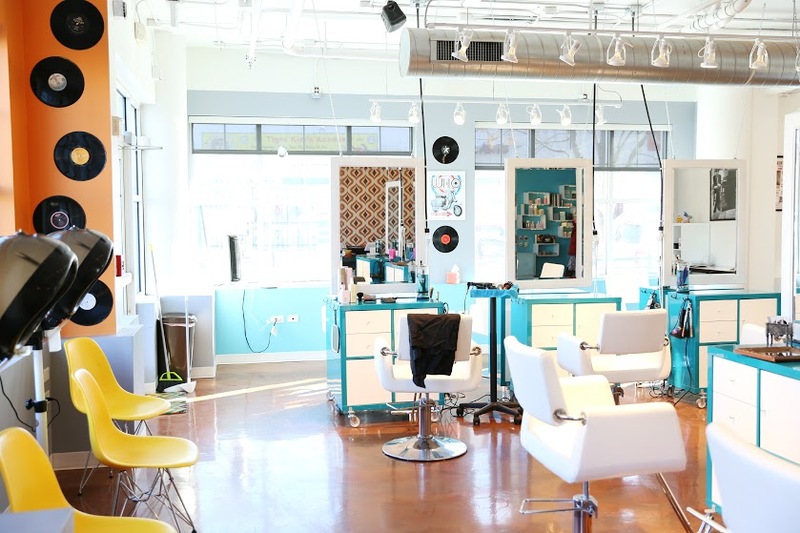 It’s really a no brainer to make the switch from a regular salon. Unless you like all the drama and everything else that goes with it! Do it! You won’t be sorry!! Out of your minds what about the fact that you pay double social security. You pay estimated quartly taxes for the up coming quarter. Not to mention all of the extra hours in bookkeeping and inventory. Also credit card fees. Easy to say square processes my credit cards but that costs money. No mention of disability insurance, unemployment insurance both state and fed, and liability insurance. Accountant fees and any needed legal expenses. That only scratches the surface. All valid concerns and worth addressing. I can tell you from my own standpoint, having done both rental and commission for many years, once you actually make the switch those issues don’t seem as big. Your estimated quarterly taxes (if you chose to structure it that way) are no different than the standard wage withholding taken from your weekly paychecks as an employee. You pay them in larger chunks in fewer intervals, but if you plan ahead it comes out the same. Square takes 2.75% in fees, which is pretty minor. Plus many salons will deduct credit card fees from your commission checks, so again, not a major difference. Inventory can generally be taken care of with a quick weekly phone call or email to your supplier and they can be delivered to your salon, so it’s minimal time out of your day. Inventory cost is, again, a wash. Odds are good your salon has been charging you backbar fees to pay for your color, shampoo, etc, so this in not a new or additional expense. And most booth renters spend very little on accounting and bookkeeping. Those who chose to use those services generally need minimal assistance with basic filling, etc, so the fees are small, and many chose to keep their own books which is pretty easy through services like square. As for legal fees, as a salon owner I’ve incurred them over the years, but never once as a booth renter, it’s pretty rare. Yes, you do pay double your social security, no way around that. And Unemployment is tricky. If you incorporate as a self-employed person you can be eligible for unemployment, but yes there is less of a safety net there. Most folks still come out ahead at the end of the day, assuming they have a strong clientele and aren’t afraid to work. As with anyone who is self-employed there are greater risks, but with those risks comes a great deal more freedom and the possibility for greater reward. It’s definitely not for everyone. You have to ask yourself what’s important to you and whether you have the personality to be self-motivated and successful on your own. Hi..The post you shared is truly inspirational. Thinking to have own business and taking steps to achieve it are two different things. Opening a business from scratch is not an easy thing. As you said, considering a lot of points, taking advice of the concerned people including your clients will definitely add up in setting up a business. This story was so amazing. Thank you for this. I’m actually going to start my own salon business and I was looking for chair booth rental amounts and you have me more than just that!! You confirmed a lot of things I had planned for my salon such as receptionists, beverages, traffic space, and big open Windows. Your story was so helpful in numerous ways. Thank you! Thank you! Thank you! I wanted to ask you from reading all of the post. How is your business going? Yes she makes some very valued points. Great post! We see good sides to both commission and booth rental. I think it comes down to the flow of business in each salon! Great post. I am not even in the stylist industry but I feel your examples could be applied to occupations outside hair care. It is interesting how people weigh combinations of price, value, risk. As more of us out in the world become self employed it is good to examine success stories like yours. Cheers! I was being paid commission and being held to salon expectations (chore chart dress code schedules) but then handed a 1099. Getting the worst of both world. Hello. In California, a new law was passed called Bill 1513. Basically any commission based employee needs to also be paid an hourly rate during their down time. Waiting for clients, folding towels, answer calls, etc. This is causing havoc among salon owners where it almost isn’t worth it to do commission style compensation any more in California. 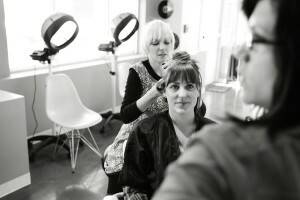 My wife is a stylist and her salon is getting around it by having her sign an independent contact where they are “renting a chair” to her but instead of her paying a daily/weekly rental rate to the salon, she pays them via a % of whatever she makes for services rendered. I’m just getting to cosmology I am a current student at David Pressly I will be graduating in October of this and once I build my clientele I’m considering in renting a booth until I’m able to buy my own salon so I dnt think renting a booth is bad it’s just a start to something better. Hello I am slowly making the transition from employee to booth renter and have no idea where to start. Any information would be greatly appreciated. Thank you for your help! Your story is very similar to mine. I have managed cooperation salons and still didn’t make enough money because their wage system is so jacked up. So I went and worked for a private owned salon on commission. The owner had no idea about rules laws and so on and tried to pay stylists who worked 40 hrs on a schedule, only commission and not minimum wage if that was higher. And every time he had a cute young girl work for him he was flirting with them and let them get away with stupid things. So after close to 5 years there i said…. Forget you I’m out packed and left and went into booth rent. The first place was nice but the owner was ghetto fabulous and always had drug dealing baby daddy drama and the second place… Well she seemed nice but contradicted everything she said and one day I came in and she had removed all my tools put of my station.. After that episode of dealing with this gold digger (her man paid for the salon but she had plenty other old men doing her “favors”) I said I just have to open my own. And now after 2 years opened my own salon. The idiots I worked for or with showed me everything I did not want to be as an owner. My advice is before you even ask for booth rent go in and get a shampoo and blowout to see how the owner interacts with clients and other stylists. Thank you so much for this. Very informative & inspirational. Ive been a barber for 14 years, started my whole life over again to become a assistant in a summit salon for 20 months & now a fulltime stylist for 7 months. My clientele & skill as a stylist now is developing fast. I have a lot more to learn about womens hair & am very fortunate to be in the very educational commission salon that im at.. but secretly i know i will want to be a booth renter in a few years when im ready. 40/60% split Is brutal before taxes on my side of the world. Might aswell learn as much as i can about booth rental early. Thank you so much for your story. I LOVED this read! Thank you for your honesty. I’be been a hairstylist for over a decade but now only work part time because I’m a mom. As in part time, I mean only 20 hours a week. I’m a higher level stylist at my commission based salon and just want/need more. I have a steady clientele and am booked most weeks, however I’m wondering about booth rental for part time people? Would you suggest it? Thanks for your time! After working 2 years at a corporate salon in Walmart, I still have not been paid more than minimum wage plus tips, except a $1 raise after my manager pressed the issue for me because I was training new hires how to do the work, and kind of babysitting. I am not busy, do not have much loyal clientele, but I am looking at other options to elevate my experience professionally, but it is scary. Thank you for sharing the information and comments too. Great story really made me feel inspired to booth rent. I was told I need llc and trader liscense, true?? I am certainly not against booth renting but boy this leaves out some important information. For example, self employment tax at 15.3%, unemployment insurance, workers compensation and possible healh care coverage. As an employee your employer pays 7.65 FICA on every dollar they pay you, in addition toon to disability and WC insurance. As a self employed hairdresser you now pay 15.3% on every dollar you earn. You also no longer have unemployment insurance, disability insurance (unless you buy a separate policy, very expensive) or workers compensation. If you were getting paid vacation as an employee, now you don’t have to pay rent for 2 weeks, but you are losing often hundreds or thousands for those 2 weeks. Employer paid all or part of your health insurance? Guess what, now for a bare boness policy you are probably looking at $350-$600 per month. And lets not forget credit card fees! Even if you qualify for a low rate of 2%, by the time you add in the per transaction fees, statement fees, PCI compliance fees, etc, you are paying a minimum of 3% and probably closer to 5% on each transaction. These are just the additional hard costs. What about advertising, software, etc. Chair renting can be a great option for some. But get all the facts first. Thank you for this article – it was the exact honesty I was looking for. I’m working at a salon in my small town where I’ve been for the last year. I’m only two years into this industry. I currently am working four days a week and I’m generally 60% booked up a month ahead of time (booking back to back, two clients at a time). I’m starting to find that the way I’m expected to book my clients in isn’t doing me any justice and I find myself having to sacrifice some skill just to fit everyone in a day but my boss expects me to continue booking this way so we can bring in more money. There are other small issues that I’m finding I just don’t quite “fit” at this salon. Long story short – I’m thinking of going out on my own. But I’m afraid that I’m too new. Just wondering if you have any advice on how long you should be in this industry before going on your own. Am I crazy to be considering this so soon? Help! My boss of 15 yrs told me 1 hr ago she is closing the salon…..have been a comm. stylist forever.